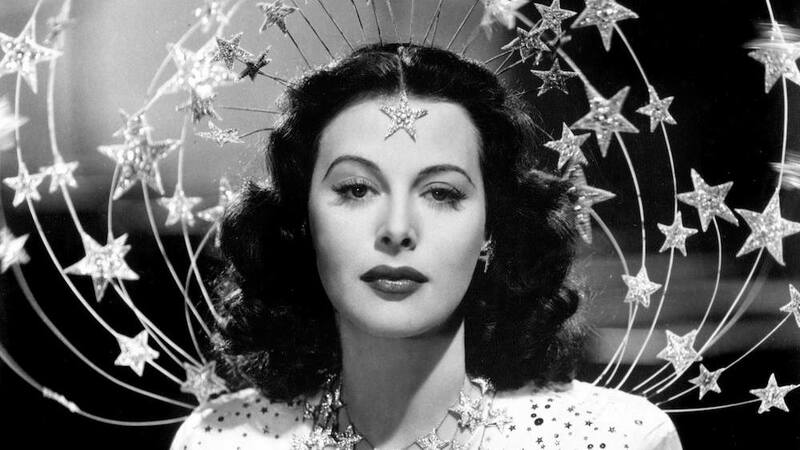 Wednesday, April 10/Marigny Opera House (725 Saint Ferdinand): Shotgun Cinema’s next installment in their “Science on Screen” series is Bombshell: The Hedy Lamarr Story. This documentary shares the little-known story of Hollywood actress Hedy Lamarr, who in addition to starring in such films as Sampson and Delilah and Ziegfeld Girl, helped invent technology that paved the way for cell phones and WiFi. Electric Girls Executive Director Flor Serna will discuss encouraging young girls to explore STEM fields, as well as her work starting her own STEM-focused nonprofit. Doors open at 7:00 with the film at 7:30. This screening is FREE and open to the public. Thursday, April 11/Banks Street Bar (4401 Banks Street): Time to get your ears open for Big Eyes on Thursday night. Since their inception in 2009, Big Eyes has been a musical chimera, combining straight shooting New York sensibilities with moody, brooding Pacific Northwest undertones, two places that the band has called home. Kait Eldridge takes lead and is backed by the Ridenour brothers, Paul on guitar and back-up vocals, and Jeff on bass, with Scott Mcpherson rounding out the group on drums. The band will be releasing their new album, Streets of the Lost and embarking on a North American tour that will stop in New Orleans on Thursday. Show begins at 9:00 PM. Saturday, April 13/Académie Gnostique (124 Baronne Street): It’s time to take your obsession with your cat one step further. Why? Well, the cat is one of the most prominent and iconic of witch’s familiars. An emissary of several pagan goddesses, ethereally aloof, effortlessly diabolic – they have long been considered to be potent magical agents in the worlds of both matter and spirit. Académie Gnostique will provide an illustrated talk with professional diviner and consultant sorcerer Dr. Alexander Cummins. Dr. Cummins will take you through some of the many ways cats have played a role in human spirituality and magic. From records of Bast and cat-headed sun gods in the religion and sorcery of the ancient world, to their appearances, uses and meanings in medieval grimoires of both high ceremonial ritual and everyday folk magic, it will all be covered. Doors open at 7:00 PM, donation wine bar is available, and there is a $15 suggested donation requested. For more information on this talk, you can check out their event page here. Sunday, April 14/Louisiana Books 2 Prisoners (2523 George Nick Connor Drive): LAB2P is having a yard sale to raise money for postage and educational books. They have been saving up really good books all year and this is your chance to dig for treasure! They’ll have lots of fiction, classics, graphic novels, bestsellers, nonfiction, interesting hardbacks, art books, and other stuff. They’ll also have impressively cool shirts and bags with their new logo designed by You Go Girl. Books will be available on a donation basis. Take a book and give them however much money you feel spiritually moved or inspired to bestow upon them. Fill up a bag with as many books as you can cram inside for a shockingly reasonable suggested donation! The yard sale will be from 12:00 PM until 4:00 PM. Sunday, April 14/Wat Wimuttayaram Buddhish Temple (1601 Standon Road): It’s time for the Thai New Year and Thai food fair festival. From 9:00 AM until 4:00 PM, you can join in the festivities, food, and fun. The festival will celebrate the New Year with music and Thai food that will prepare you for good fortune throughout the year! Families are welcome, and if you’d like more information on this festival, you can check out their event page here.